The westernmost regions of ancient Asia Minor - otherwise known as Anatolia (meaning 'east' or 'rising Sun' in Greek) and today as Turkey - was where Aryana, more commonly known as the Persian Empire, met Hellenic lands. It was the theatre of the start of the Greco-Persian Wars. Below, we introduce the names of the westernmost regions and give a brief timeline of the region's history. 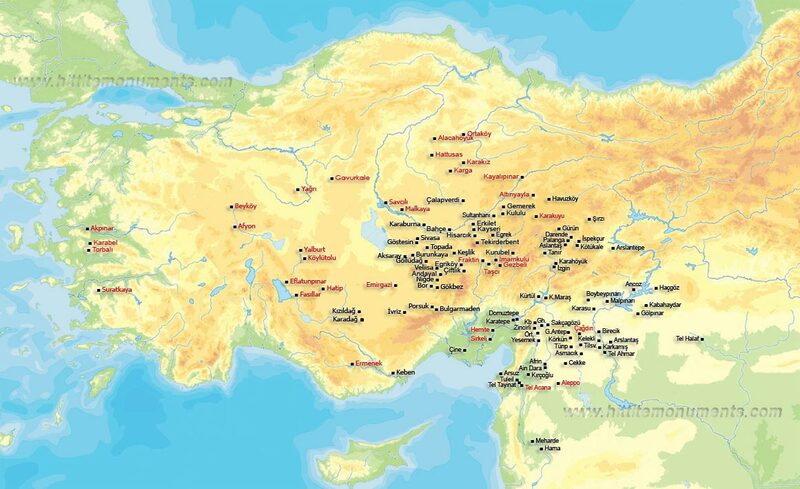 Lands of the Hittites/Hatti.Image credit: Robert Mcroberts. c.1900 to c.1200 BCE: Hittite Era. The Hittites - a people with Irano-N. Indian (Aryans) ties - were the people who ruled Hatti, a central Anatolian (Turkey today) kingdom, from c. 1900 to c.1200 BCE. Anatolia is otherwise known as Central Asia. The Hittites formed the earliest known Anatolian civilization and employed an advanced system of government based on a legal doctrine. Successors of the Hittite called neo-Hittites asserted control over parts of Asia Minor until c. 700 BCE. In Hittite annals from 1800 to 1200 BCE, we find mention of the chiefdom of Karkisa/Karkiya (the predecessor to Caria?). In 1274 BCE, Karkisa joined the Hittites in the Battle of Kadesh against the Egyptians. A shared heritage did not prevent the Hittites, Karkisa and other related groups from fighting against one-another from time to time. c.1200 BCE: Trojan War. Writing around the eight century BCE, Hellenic poet Homer noted in the 'Catalogue of Ships' (that consisted of lines 494 to 759 of his epic, the Iliad's of Book), that Miletus (just north of Halicarnassus and south of Samos that would later become one of the most prosperous Greek settlement in Asia Minor) was inhabited by Carians. Later in Homer's epic (at 2.867ff), we also learn that the Carians and Lydians came to the defence of the Trojans when the latter were attacked by the Greeks. We can reasonably surmize that around 1200 BCE, the Miletians, Carians and Lydians were not Greek but Asians as were the Trojans. (For a further discussion on the ethnicity of the Carians and their Persian-Aryan links, see 'Mausolus, Artemisia & Ethnicity'. c.1475 to c.1275 BCE: Mitanni rule. 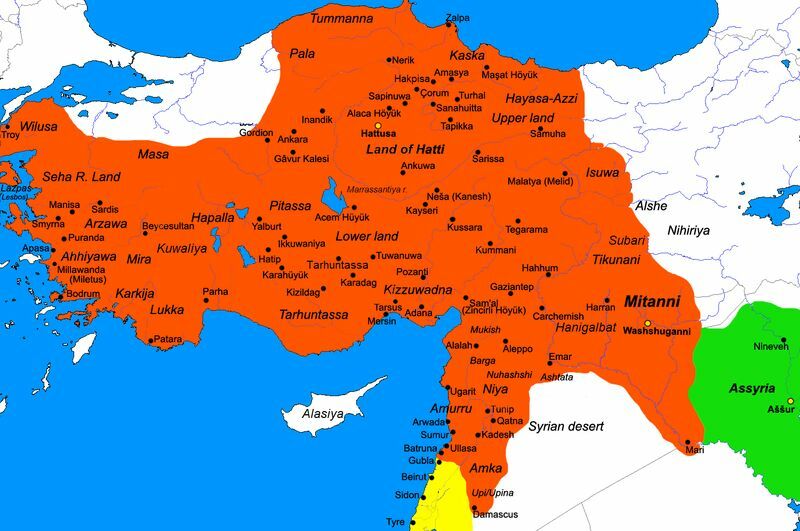 Mitanni were an Irano-N. Indian Aryan dynasty that ruled in the land of the Hurrians located in the upper Euphrates-Tigris basin - land that is now part of northern Iraq, Syria and south-eastern Turkey and, which coincides quite well with the Kurdish lands of today. c.1380 BCE: Hittite-Mittanni Treaty. The treaty between the Hittites and the Mitanni royal houses acknowledges various deities together with the Aryan (Indo-Iranian) deities Mitra, Varuna and Indra. The treaty also contains names such as Artatama that have Aryan roots. c.1200 to c.700 BCE: Neo-Hittite & Greek Occupation era. 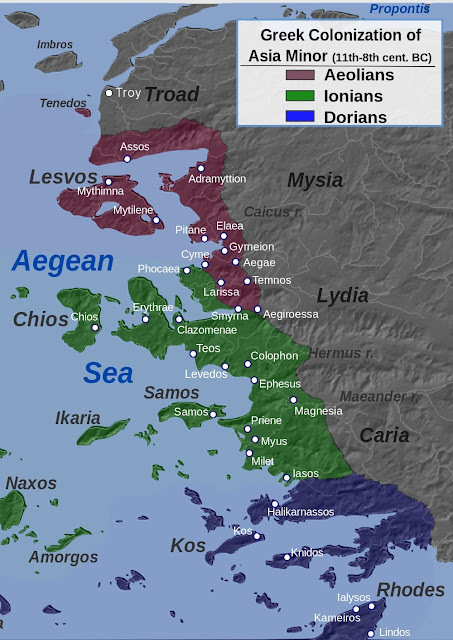 It is estimated by several authors that refugee-invaders from Greece began to aggressively displace and settle the coast of Caria and Lydia after the Trojan War, i.e., between c.1200 and c.1100 BCE. c.700 - c.550 BCE: Lydian Rule. Around 700 BCE, Lydian king Gyges invaded Smyrna and Miletus. During the reign of Croesus (560–545 BCE), the Ionians and their Grecian cousins, the (Thracian) Aeolians, all became subjects of the Lydians (see 'Media & Lydians' in our article 'Amazons, Troy & the Western Realms of Aryana'). Lydia for its part was allied to, or subject to, the Aryan Medes. 545-7 BCE: Beginning of Persian Rule. In 545 BCE, Persian Achaemenid king Cyrus the Great defeated Lydian king Croesus and Croesus' Milesian subjects accepted (perhaps at the urging of Thales) Cyrus' terms to become part of the Persian Empire. Herodotus in his Histories (at 1.143 tr. Rawlinson) states, "The Milesians had separated from the common cause [of the Greek settlements] solely on account of the extreme weakness of the Ionians: for, feeble as the power of the entire Hellenic race was at that time, of all its tribes the Ionic was by far the feeblest and least esteemed, not possessing a single state of any mark excepting Athens. The Athenians and most of the other Ionic States over the world, went so far in their dislike of the name as actually to lay it aside; and even at the present day the greater number of them seem to me to be ashamed of it." [This unflattering assertion earned Herodotus yet another dose of abuse from Plutarch.] Greece was known to the Achaemenid Persians as 'Yauna' (Ionia) and we see from Herodotus' account that mainland Athens was a part of the Ionian confederation of city states. Herodotus at 1.141 states, "Immediately after the subjugation of Lydia by the Persians, the Ionian and Aeolian Greeks sent ambassadors to Cyrus at Sardis, and prayed to become his lieges [subjects] on the [same]footing which they had occupied under Croesus." In 547 BCE, Cyrus brought the Ionians under his control, though we read that the Ionians enjoyed a considerable amount of autonomy from central Persian authority. Greek settlements in Asia Minor. 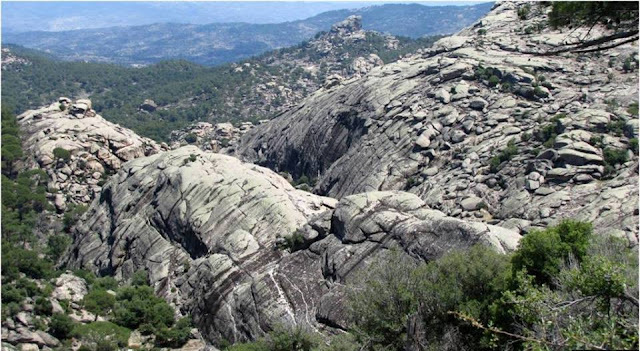 Image courtesy: Wikipedia. 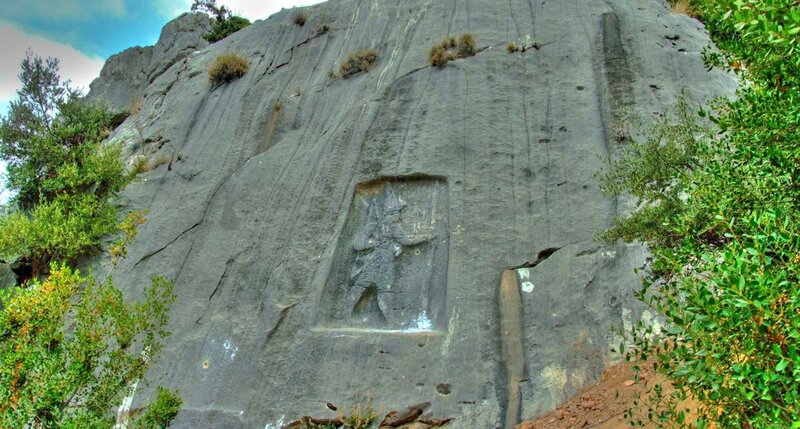 c.1400 BCE Luwian-Hittite rock-face carving (perhaps a deity) at Manisa, Arzawa (Lydia) modern Akpinar, Turkey. Hittite-Luwian and neo-Hittite rock monument site locations. Sites in red date to the Empire Period (1480 to 1200 BCE). The map at the comprehensive site HittiteMonuments.com has interactive links to each of the site descriptions.